Cortland is a city in Cortland County, New York, USA. As of the 2000 census, the city had a population of 18,740. Notes: Following the success of the Syracuse NY version of NPA, Andrew Dowd reached out to AREA to adapt NPA to Cortland where he ran the gallery at the local branch of the State University of New York. 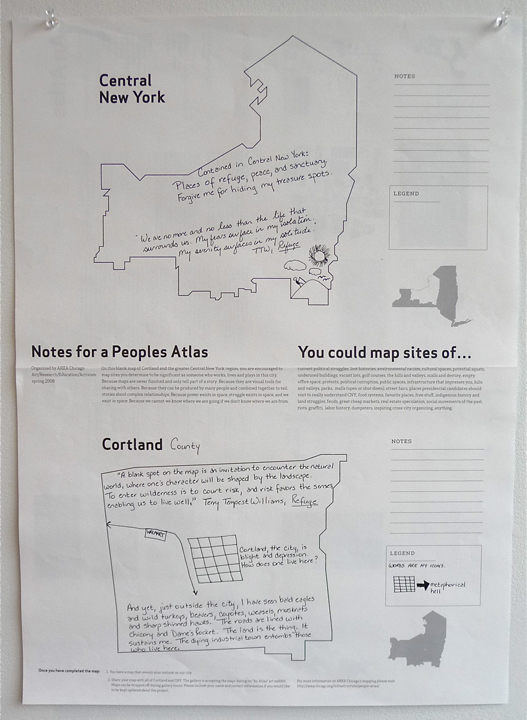 Because the town is so small we decided to make a second map that also documented Cortland at different scales – at the local, regional (Central New York) and state.